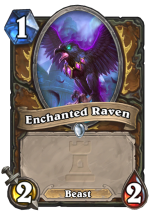 Keep Golakka Crawler against Rogue or Warrior, keep Mark of Y'Shaarj with Enchanted Raven or Druid of the Swarm. 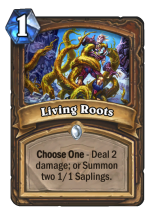 Choose 1/5 taunt with Druid of the swarm 100% of the time, unless your facing big priest in the late game. 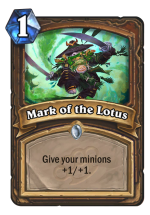 Keep Fire Fly if you have no other 1 drops. 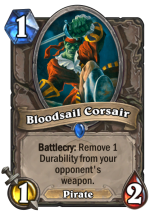 Depending on your situation, don’t be afraid to play Leeroy even if you don’t have lethal. 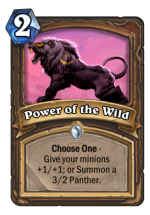 Same with Savage roar, sometimes its better to play it early. Always go face. Unless your facing Aggro.